Who will come out on top in the derby between the “Former Managers of Premier League Champions”? When ten-man Fulham held off Aston Villa to win the Championship Play-Off final barely nine months ago thanks to a first half goal from their captain Tom Cairney, I suspect that they did not believe that they would be in this predicament now. Promotion was gained in what many believe is the most exciting way, and there were high hopes that they could consolidate a position in the Premier League. The owner spent a not inconsiderable amount in the transfer market, and like Wolves, it was felt that they had given themselves a good shot at steering clear of the relegation places. They were certainly more fancied than Cardiff to retain their top flight status. However after an horrific start the owner lost his nerve after a dozen games, sacked Jokanovic, and brought in Claudio Ranieri, hopefully to recreate the magic of his achievements at Leicester. It hasn’t improved much since then, and now Fulham, with an horrendous goal difference (-33), are effectively 9 points adrift of safety with just a dozen games to go. To achieve an average of a point a game by the end of the campaign, they would need to collect 21 points in their final 12 games, a tall order when you consider they have amassed just 17 points to date from 26 games. Those 17 points have been won from just four wins and five draws, with their only victories coming over fellow strugglers in the bottom eight who are involved in the relegation dogfight, namely Burnley, Southampton, Huddersfield and Brighton. All of those wins have come at Craven Cottage, highlighting that their form away from home has been particularly miserable, with just two points gained from draws at Newcastle and Brighton. As a seasoned West Ham fan that is a worrying statistic. As the season begins to approach its climax we sit in the top half in tenth place, in the pack of six clubs chasing seventh place, or perhaps being champions of the unofficial Premier League Division Two. Wolves and Watford lead that particular competition at the moment, but they can be caught by any of the four teams immediately below them, (Everton, ourselves, Bournemouth and Leicester) with a good run to the end of the season. Certainly our six remaining home games against Fulham, Newcastle, Huddersfield, Everton, Leicester and Southampton are eminently winnable games, although I suspect (but hope otherwise) that we will pick up far fewer points on our travels, where, apart from Cardiff, the other five games are against teams in the top eight, with only Arsenal and Wolves from that octet having to wait until next season to meet us again. It seems that our awful injury list is diminishing, and more players are available for this game. We have quite an array of (fit) attacking talent at our disposal, and I wonder how the manager will piece together four offensive players from this list: (a hopefully interested) Arnautavic, Chicarito, Carroll, Anderson, Snodgrass, Lanzini, Nasri, Antonio, Perez, Diangana, and Silva. This assumes that Fabianski, Zabaleta (or Fredericks), Cresswell, Diop, Ogbonna (or Balbuena), Noble and Rice will form the remainder of the team. In order to provide a mixture of width and guile, and based upon recent form, I fully expect Antonio, Nasri, and Anderson to line up behind Arnautavic or Chicarito. I expect Lanzini to be eased back gently, and would see him playing a part from the bench. Who fills the other places waiting to come on later in the game is anyone’s guess but (apparently) Perez is out of favour, and Diangana, Silva, and possibly even Carroll may not make the 18. In addition to one of the right backs, and one of the centre backs, plus Adrian and Obiang, then Lanzini, Snodgrass and one of Arnautavic or Chicarito will probably make up the squad, unless there are any further questions re fitness. Perhaps Carroll will be in the 18 to provide another attacking option in place of one of the more defensive minded options. Masuaku is another I haven’t mentioned, and his versatility could get him a squad place, although he would not be my choice. It may be a shame for Diangana and Silva to miss out, but their turn will come next season I’m sure. They have been in and around the squad in recent times and will benefit from the experience gained, and will get further opportunities once injuries start to kick in again! Looking at the odds offered by leading bookmakers, they seem to believe that Fulham have a better chance in this game than form (ours at home, and theirs away) would suggest. We are only slightly odds on to win the game (around 5/6) and Fulham are quoted at around 11/4. Now if this wasn’t West Ham we were talking about then I would say there was easy money to made here. Will we see a performance like against Wimbledon or one that was so unlucky not to beat Liverpool? In view of the competition for places (and putting Fulham’s poor away form aside – it’s amazing how teams with records like this bring poor runs to an end against us! ), I fully expect us to take them apart under the lights, and further condemn them in their (vain) battle to remain a Premier League team. It’s about time we had a five or six goal romp, and 6-0 is quoted at 125/1. The bookies aren’t particularly generous are they? When did we last win a game 6-0? Even Fulham are quoted at a paltry 150/1 to beat us 6-0! Now that wouldn’t be worth a bet at 150,000/1! Will the Hammers Take it to the Limit against the Eagles? Or will they Take It Easy? You start to see the pressure on football managers when things start to go wrong. After an uninspiring draw against Leicester, most people fully expected Liverpool to bounce back and see off an out of form West Ham on Monday evening. But the Hammers being the Hammers lived up to their reputation of consistent inconsistency. How could a team who performed so miserably as to be dumped out of the FA Cup by lowly AFC Wimbledon, and then play even more abjectly (some would argue) against Wolves, possibly be a match for top of the table Liverpool? It is an easy one to answer. As I have written so many times before, with West Ham you never know what you are going to get. It is the West Ham way! Considering how out of touch we had been in the matches leading up to this we performed admirably. It is hard enough to take on the top of the table team anyway without being subjected to one of the most appalling offside decisions (or rather lack of decision) that you will ever see. We were easily holding our own, and probably had the upper hand in the game when Milner, clearly in an offside position, received the ball from Lallana. He crossed to Mane who turned and scored. I’ve been writing about the need for VAR for years, and in this case, the “goal” would have comfortably been chalked off. But worse than that is the failure of the linesman to be able to see it with his eyes. Sometimes offside decisions can be difficult to call, and you cannot blame the linesman when the human eye only has fractions of inches to differentiate between offside and not offside. But this was not one of those occasions. The linesman seemed more interested in watching Lallana’s skill on the ball and found himself in the wrong position. Shocking. What I found just as bad was the decision (or lack of it again) in the third minute of time added on, when the other linesman did not raise his flag when Origi was also clearly offside and should have put the ball in the net to win the match. That would have really compounded the injustice, but fortunately the Liverpool substitute demonstrated why he isn’t in the starting eleven. But perhaps the most appalling aspect of the poor decisions made by the officials was listening to Klopp afterwards complaining about the referee favouring West Ham! In my opinion he had a nerve. I guess he was just trying to deflect the attention away from his players who had been outplayed by West Ham. We had the most shots on goal and deserved our point at the very least, but could easily have had all three points. Noble should definitely have scored in the second half after fine work by Anderson, and Rice once again missed a header on the stroke of half time that you would have expected him to score. But all in all it was an excellent performance against the team on top of the league. Klopp made further excuses about injuries. But has he seen our first team squad injury list? The pressure looks like it is beginning to tell on Liverpool, and Manchester City, after recovering from their recent blip, may well have the ability to retain their title. The Daily Telegraph had an interesting feature this week where they compared the progress of teams in the Premier League by assessing how many points they have attained at this stage of the season set against how many they had at exactly the same time in the last campaign. Liverpool top this “league” with +12, followed by Tottenham (+9), Watford (+7), and then we are one of three teams on +5 (with Arsenal and Bournemouth). Five teams have fewer points than at this stage last season with Huddersfield (-13), Burnley (-11), Manchester City (-7), Manchester United (-5), and Leicester (-2) showing their lack of progress. Having said that, Manchester City had a record breaking campaign last time, and may still win the title, without reaching the heights that they did then. They seem to have the strongest squad, and may be too strong for a nervous Liverpool team. Today’s opponents sit 14th in the league just two places and six points below us, but only four points above the drop zone. Their next few games will decide whether they join us in the mid-table pack, or take part in the relegation dogfight. There are currently six teams in that contest who are not averaging a point a game, with Palace just above them. Their seven wins this season have been against Fulham (twice), Huddersfield, Burnley, Leicester, and most impressive of all, away wins at Wolves and Manchester City. In fact they have picked up more points on their travels than at Selhurst Park, where they have only won three of their twelve home games. In those dozen games they have only scored 8 goals (and conceded 11), making games on their home ground the least entertaining in the Premier League in terms of goals by some margin. Away from home they have scored more than twice as many goals (and conceded more than twice as many also!). A worrying statistic is that Palace have only once this season recorded back to back victories. As they beat Fulham in their last game, this gives them the opportunity to double this. Our head to head record against Palace is a positive one, and in fact the last seven games have resulted in wins for us or drawn games. Our last four visits to Selhurst Park have resulted in three wins and a draw. It should really have been four wins (oh Michail, why didn’t you take the ball into the corner?). Our old boys, Tompkins and Kouyate are both doubtful due to injuries, but I notice that Zaha can play as he is in the process of challenging his ban for ironically applauding the referee who sent him off in a recent game. If his finishing could match his approach play then he would be some player but he has not been able to do this. Another statistic I noticed was that in the past two years the Palace penalty taker, Milivojevic, has scored 15 penalties, which puts him way ahead of all the other teams’ penalties in the league. I wonder how many of those kicks were awarded for fouls on Zaha? In three of our last four visits to Selhurst Park there have been four goals scored in each match. Despite the dearth of goals at that ground in this season’s games I fully expect another four this time. If we are serious about pushing upwards to join the race for seventh place then this game is one we need to win, and I expect a 3-1 victory if we can reproduce the form of the Liverpool game. If we are not quite on the ball then there could be a repeat of last season’s 2-2 draw. And if the West Ham of the Wimbledon / Wolves games turns up then we could be on the receiving end of a 3-1 defeat. If you fancy a small wager on our team then you can get 27/10 on a West Ham victory. A 3-1 win has odds of 28/1, and a 3-1 win with Issa Diop the unlikely scorer of the last goal in the match you can get odds of 1250/1. Any one of those three outcomes, or all three of them will do for me. Liverpool visit West Ham – will we see the next Premier League winners tonight? When I began to take an interest in football in the late 1950’s I have to confess I didn’t take a lot of notice of Liverpool as they were not a top flight team at the time. I was vaguely aware of them in the early sixties when I was updating my football league ladders (given away by comics at the time) as they were prominent in Division Two, and since they were champions of that league in 1961-62 they have barely looked back. It is not as if they hadn’t had success in football prior to then, as they had been winners of the First Division title five times before, beginning in the very early twentieth century, and for the fifth time just after the Second World War. They had been going through a lean period by their standards, having been relegated in the 1950’s, and when they were knocked out of the FA Cup in 1958-59 by non-league Worcester City, they appointed a new Scottish manager, Bill Shankly, who became a club legend that completely transformed their fortunes, and since that time they have barely looked back. Following their promotion to the top tier they finished a creditable eighth in their first season, and then in 1963-64 they were league champions. This was therefore their sixth title, but now their record stands as champions of England 18 times. Bearing in mind that the last of these was in 1990, this demonstrates their dominance of English football throughout the sixties, and especially in the 1970s and 1980s. They go into tonight’s game two points clear at the top with a game in hand, desperately seeking their first title for almost thirty years. When we won the FA Cup in 1964, Liverpool had never won it at the time, but they did the year after, and their record now stands as having lifted the trophy 7 times. They have also been England’s most successful team in Europe and from the 1970s onwards they have won the European Cup or UEFA Champions League five times and the UEFA Cup three times. Given this historical background it will come as no surprise that our head to head record against the Merseysiders is not an impressive one. They have beaten us 74 times to our 28, and in the twenty-first century we have only won 7 of the 34 meetings. In fact the last four games between the sides have been disastrous for us with Liverpool winning all of them and scoring four goals in each game. No team has ever scored four goals or more against a specific opponent on five consecutive occasions in the top flight since Arsenal managed the feat in the 1930s. Oh dear, that’s the kind of statistic I shouldn’t be mentioning! Despite our poor overall record against them we have had many memorable games against Liverpool. The two with the highest profile were both Cup Finals. In 1981 when we were a second division side we met them in the League Cup Final, and lost after a replay. In 2006, we were seconds away from a famous 3-2 victory when up stepped Steven Gerrard with a wonder goal to take the game into extra time, and we subsequently lost the penalty shoot-out. Why didn’t Lionel Scaloni put the ball high into the stands when he should have? But enough of defeats, what about some famous victories. In 2015-16 we won 3-0 at Anfield to end one of the longest running records of defeats at that ground that stretched back to 1963. Or the season before that when we led early on 2-0, Sterling pulled one back, before Amaltifano (remember him?) scored the winner close to the end. Even in our ill-fated relegation season under Avram Grant we led 2-0, Glenn Johnson pulled one back, and then Carlton Cole scored the winner with a scorching left-footed strike. I can even remember back to 1982-83 when we led 2-0, Liverpool pulled one back through Souness, and then Sandy Clark scored to give us a 3-1 win. You can probably see a pattern emerging here. We lead 2-0, Liverpool pull one back and then we score the winner. It has happened more than once! Delving through my football programme collection I came across the one pictured above from 50 years ago this month. I recall the game clearly as I stood on the North Bank with friends on a very sunny Saturday afternoon. West Ham took the lead in the first half when, after some excellent work out wide on the right by Geoff Hurst, he crossed the ball for John Sissons to slam high into the net in front of the South Bank. Liverpool’s equaliser came at the same end in the second half, when after excellent wing play from Ian Callaghan, he crossed the ball for Roger Hunt to head home. I remember thinking at the time that Bobby Ferguson should perhaps have done a better job at keeping it out. The game ended 1-1. Liverpool finished as runners-up to Leeds that season, although neither of them scored more goals than we did (66). However their combined goals conceded (50) matched ours exactly, highlighting that our problems at the time were nothing to do with scoring goals, but more as a result of conceding them. We have just 14 games left this season; what have we got to play for other than pride and finishing as high in the table as we can? We are now 7 points adrift of Wolves who lie seventh, so we’ll struggle to finish at the top of the clubs beginning with W even. We have a lengthy injury list – this is one area where we are the top team in the Premier League, and the bookmakers have us at 7/1 or thereabouts to win tonight’s game. Liverpool have won 19 of their 24 games this season losing just one (to Manchester City) so those odds are not realistic, they should be much longer. But for no logical reason football sometimes provides us with an upset. Perhaps this evening we will go into a 2-0 lead, Liverpool will then score to set up an exciting climax, but we will then grab a winner. 3-1 to West Ham. The odds on us winning the game by that score are around 60/1. I can dream, can’t I? Will West Ham wobble when visiting Wolverhampton Wanderers as they wobbled when facing the Wombles of Wimbledon? Prior to the FA Cup debacle on Saturday I headed my preview of the game “FA Cup embarrassment for West Ham?” Somehow you could just see it coming given our appalling record against lower league opposition and I could easily have left off the question mark when writing the piece. Once again social media went into overdrive, both during the game and afterwards, with opinion on what happened. For me it was a case of not really wanting to be in Wimbledon on a Saturday night facing a team prepared to give everything, and totally make a nonsense of their position at the foot of League One. At the same time we made a nonsense of our position in the top half of the Premier League. As a supporter of over 60 years I felt that our performance in the first half was right up there with the most appalling I have ever seen. Who was to blame? Well firstly the players on the pitch, and secondly the manager who has previous in underestimating the opposition going back to his Manchester City days. For this game he thought he could win the game by resting Fabianski, Zabaleta, Cresswell, Rice, Nasri and Anderson. And that ignores the soap opera going on with our “talisman” Arnautavic. What is the reasoning behind this? We are nowhere near getting involved in the relegation scrap, so why is the FA Cup not our top priority? Of course I know the reason behind this; it is all about money. But this was a competition we could possibly win. Ask our fans whether they would prefer a trip to Wembley for the FA Cup Final or a finishing place of seventh in the Premier League. I think I know the answer that the overwhelming majority would give. We certainly are not able to challenge for the top places in the Premier League, but you don’t have to win many games to lift the FA Cup. Just six actually. And the way that this year’s competition has worked out, and with the luck of the draw, it might have been an easier task for us than usual. How many Premier League teams went into last night’s draw for the fifth round? Not a lot, as Paul Daniels might have said. Interesting that our conquerors face a home tie in Round 5 against another team from South London, a side not exactly popular with our fans. That could have been us! Shortly after the end of the game our missing Austrian striker appeared in a video uploaded for all to see. He said that he is back, just like his thespian similar namesake told us he would be, in The Terminator. I wasn’t aware he had actually been away! Apparently he loves the London Stadium and West Ham and we should only believe what he is saying. So what was all that nonsense from his brother / agent about going to China to win trophies? Surely if he loved West Ham so much then he would have been available for the last couple of games and in the right frame of mind? So before we are even in February what is there left for us to win this season? For a start there is the unofficial Premier League Division 2 title. The league has neatly divided into three divisions. There is the top ‘elite’ six (Division 1), who are the same six clubs virtually every year; there is the battle to avoid relegation (Division 3), currently being contested by the bottom 7 teams; and finally there is the middle section (Division 2) of which we are one of the competing teams. Only Brighton do not fit neatly into one of the categories at the moment as they hover in no-mans-land between Divisions 2 and 3. Another competition that we could win is the unofficial title of champion club beginning with the letter ‘W’. There are only three of us competing in the Premier League this season, namely Watford, Wolves and ourselves. Watford are currently on top with 33 points, closely followed by today’s opponents Wolves on 32, and then we bring up the rear on 31. This could be a very exciting contest in the remainder of the season and gives us something else to play for! And while I am writing about teams beginning with a certain letter of the alphabet I would like to pay tribute to the English football “L’s”. There are 92 clubs in the Football League and a further 24 in the Vanarama National League, the fifth tier of the game. That is 116 in total. How many can you name who begin with the letter L? Well you have Liverpool, Leeds, Luton, Lincoln, Leyton Orient, and one more that I have forgotten, oh yes, Leicester. The amazing thing for fans of the letter L is that the first five I have named are currently the top teams in the Premier League, Championship, League One, League Two and Vanarama League respectively. How uncanny is that? Avid readers of the Sun will have noticed on Saturday a column “Top Tips” where they make betting suggestions. I will repeat part of the column here. “The team worth a punt for me (to win the FA Cup) is West Ham. Not wanting it is not an option. Hammers fans are quicker than anyone about reminding their players of their obligations. And in Wimbledon tonight they all but have a ticket to the last 16 already. As Paddy Power says “West Ham have nothing else to play for”. Paddy make the Hammers a generous 16-1 to win it. But the bet I really like is the monster 8-1 Coral offer on them making the semis”. I hope you didn’t invest too heavily here! In betting terms West Ham are undoubtedly one of the most unreliable teams that you can bet on. They have proved that consistently. I have a small wager on them from time to time (with small being the key word). I wonder if Kevin Dunne will refer back to Saturday’s column when he puts forward his suggestions in his article next week? So what will happen tonight? Wolves themselves are hardly at the peak of their form, only just scraping a replay at Shrewsbury on Saturday. Our players need to put in a performance to begin to atone for Saturday. With the return of the seven players I mentioned earlier who were left out of the starting line-up against Wimbledon, I fully expect a totally different kind of showing from our team. But as we all know, this is West Ham, anything can possibly happen. A 4-2 win for the Hammers is on offer at around 100/1. It might be a fun bet, but I wouldn’t put your house on it. FA Cup embarrassment for West Ham? Does another banana skin await? Or are we on our way to FA Cup glory? This is the 61st season of me following the fortunes of West Ham in the FA Cup. In the 60 previous competitions I have seen us lift the trophy on three occasions at (the old) Wembley, finish as possibly the unluckiest losing finalists once (why didn’t you boot the ball high into the stands Lionel? ), lose in a controversial semi-final (with thanks to Keith Hackett! ), a few quarter final defeats, and numerous embarrassing losses to teams from below us in the Football League. My first FA Cup recollection is facing a poor Spurs side at Upton Park shortly before my fifth birthday in 1959. This was our first season back in the top flight, and a successful one too finishing sixth, whereas our North London rivals were to finish a lowly fifth from bottom. That didn’t stop us tumbling out of the competition at the first hurdle losing 2-0. When the draw for Round 3 was made the following season we were pulled out of the hat to play away from home at Division Two side Huddersfield. We completed the hard part by drawing 1-1 in Yorkshire, so progression to the next round would be simple? Not so. We were hammered 5-1 at Upton Park in the replay, and once again were out of the FA Cup without winning a game. In my third season we were once again drawn to face a side from outside the top flight in Round 3, Stoke City, but at home this time. We could only manage a 2-2 draw at home, before losing to the only goal of the game at the Victoria Road four days later. As a young boy I couldn’t understand how this could keep happening. Little did I know at the time that being a Hammers fan would provide me with many cup exits like these! By 1962 I was once again hopeful when the top sides entered the draw and we were once again drawn against lower league opposition, away to Plymouth in the South-West. This one wasn’t even close, as we crashed out by 3-0. You have to remember that in those times, Division One sides didn’t field weakened teams in the FA Cup but used their regular first team players right from the outset of the competition. 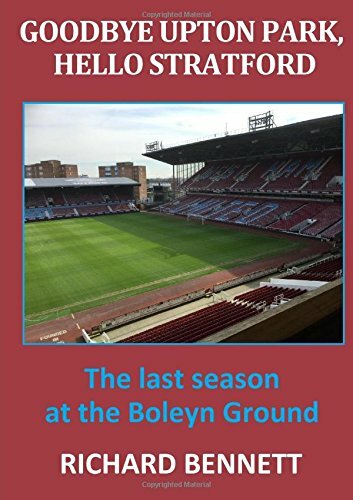 By 1963 I was approaching my ninth birthday when, for the first time since I became aware of football, West Ham won an FA Cup match. It didn’t look promising when we drew a goalless Round 3 game at home to Fulham the day before my birthday in early February. This was one of the worst winters on record, and we didn’t play any games at all in the month of January. But incredibly we won the replay at Craven Cottage 2-1 with goals from Boyce and Byrne. We then set off on an FA Cup run, the likes of which I had never previously witnessed, beating Swansea 1-0 (Boyce) in Round 4, and then Everton by the same score (Byrne) in Round 5. We had now reached the Quarter Final and were drawn away to Liverpool who were a fast improving team in their first season in the top flight after promotion under the legendary Bill Shankly. Once again a late goal meant another 1-0 game, but this time we were on the receiving end and went out. In 1964 of course we had yet another brilliant cup run, and this time we went all the way defeating Charlton (3-0), Leyton Orient (after a replay, 3-0), Swindon (3-1), Burnley (3-2), and Manchester United in the Semi-Final (3-1). Close observers will notice we scored three goals in every round on the way to the final, but could we keep that record up at Wembley? We needed to, as we had to twice come from behind to beat a plucky Second Division Preston side 3-2, and win the club’s first ever major trophy. We were almost as successful in the League Cup that year too, progressing to the Semi-Final before losing over two legs to Leicester. We didn’t progress very far in our attempt to defend the trophy in 1965, losing 1-0 at home to Chelsea in the Fourth Round. However that season was a successful one in cup terms as we went all the way to win the European Cup Winners Cup, our second major trophy in two years. By 1966 it was back to embarrassing elimination from the FA Cup competition losing 4-1 to Blackburn Rovers in a fourth round replay. Blackburn finished the season at the foot of the table and were relegated. Some consolation of course was gained by West Ham winning the World Cup that year, scoring all of the goals in the final, providing 75% of the assists, and being captained by the legendary Bobby Moore. At just 12 years old I had seen West Ham win the FA Cup, a European trophy, and the World Cup! We didn’t fare any better in the 1967 FA Cup losing at the first hurdle to lowly Swindon in a replay. In 1968 we reached the fifth round before losing at home to Sheffield United, yet another team who would go on to be relegated at the end of the season. In 1969 we reached Round 5 again before another shameful defeat losing 3-0 at lowly Mansfield Town, before going out in Round 3 once again in 1970 to another lower league club, Middlesbrough. Our 1971 FA Cup run was famous for defeat at Blackpool (4-0) in the third round following the famous night club incident. Blackpool finished bottom of the first division that season and were relegated, just like Huddersfield who finished at the foot of the table the following year, but not before eliminating us from the FA Cup. We kept up our amazing record of losing to lower league sides in 1973 when we went out to Hull City, and repeated it the following season when going out to third division Hereford! So by 1975 we weren’t expecting much, especially after losing to Second Division Fulham in the League Cup, but amazingly we once again went all the way and defeated Fulham (including Bobby Moore) in the Final. In 1980 we won the FA Cup as a Second Division side, beating high-flying Arsenal in the Final, although the previous season we had lost in the third round again to fourth division side Newport County. By now I had been following West Ham for 22 years and had seen us win the FA Cup three times, a pretty decent record and one that I hoped would continue. But in those 22 seasons we had been knocked out of the competition 13 times by teams from a lower division, or sides that were relegated that same season. To cut to the chase, we have now moved on almost forty years, and the closest we came to lifting the trophy again was in 2006 when we were incredibly unlucky losers to Liverpool in the final in Cardiff, thanks to Steven Gerrard’s wonder goal which forced the game into extra time. Those years have been littered with further embarrassing defeats to lowly opposition including Wrexham, Watford, Birmingham, Torquay, Sunderland, Barnsley, Luton, Grimsby, Wrexham (again! ), Swansea, Tranmere, Fulham, Sheffield United, Watford (again! ), Middlesbrough, Sheffield Wednesday, Nottingham Forest, and Wigan. By my reckoning we have been knocked out of this competition more than 50% of the time in the last sixty years by teams from lower leagues, or sides who were subsequently relegated from our division that season. Without detailed checking I doubt that any other club can boast such an embarrassing record. We’ve also been eliminated by lower league sides frequently in the League Cup too! On the other hand we’ve won the FA Cup three times in that period, a feat only beaten by five other clubs, namely five of the “elite six”, Tottenham, Manchester United, Liverpool, Arsenal and Chelsea. Everton match us with three FA Cups in that time, whereas Manchester City have only won it twice. West Ham are really like the proverbial box of chocolates (Forrest Gump) – you never know what you are going to get. So will today’s game be another step towards winning the FA Cup for the fourth time? Or will Wimbledon be yet another lower league side to cause an upset to our hopes? It is now almost forty years since we won this competition. Perhaps this year? Triskaidekaphobia for Bournemouth or West Ham? Who will come out on top in the thirteenth meeting between West Ham and Bournemouth? Today we meet Bournemouth for the thirteenth time in history. The record to date reads 5 wins for the Hammers, 4 draws, and 3 defeats. So who can look forward to lucky 13? If we look at Premier League meetings alone then our record is not so good. We have won 2, drawn 2 and lost 3, with all the games taking place in the last four seasons (including this one). Our paths first crossed in 1929 in round 5 of the FA Cup. We were drawn away and drew the game 1-1, returning to Upton Park four days later to record a comfortable 3-1 win to progress to the Quarter Final, where we went out of the competition to Portsmouth. Sixty years elapsed before we met again in the second tier of English Football in 1989. Once again we drew the away game 1-1, and comfortably won the return fixture at home by 4-1. We didn’t meet them the following season, not because we were promoted, but because the Cherries dropped into the third tier at the end of that campaign. A further ten years went by before we met them in a League Cup tie at Upton Park, where we won the round 3 fixture 2-0. Bournemouth became one of the smallest (if not the smallest) clubs to reach the Premier League when they were promoted at the end of the 2014-15 season. They recorded their first ever victory in the top flight when they won 4-3 at Upton Park in August 2015, but we did win the reverse fixture on their ground the following January 3-1. Another first came in the following season, our first at the London Stadium, where a late header enabled us to win our first league game at our new ground. But we were beaten in the return game away from home 3-2, despite taking an early lead after Bournemouth had missed a penalty. There were even more goals the next time we met on Boxing Day in 2017. We were leading 3-2, after trailing 2-1 with ten minutes to go, when deep into injury time Bournemouth put the ball into our net. Not only did the linesman put his flag up for offside, but the ball was handled into the goal. Referee Bobby Madley chose to allow the goal to stand, which was one of the most astonishing decisions made by a referee, and a reason why VAR can’t come too soon for me. The return game less than a month later was a 1-1 draw, where once again we came from behind. And finally, another first at the beginning of this season, the first home game under our new manager, which resulted in a 2-1 defeat after we had led in the first half. West Ham have never failed to score in any of the 12 games against Bournemouth in history. Four West Ham players whose surnames begin with A have scored against Bournemouth (Arnautavic, Antonio, Ayew, and Allen (Martin)). We therefore hope that Arnie, Antonio and Anderson are on the pitch today! Arnie has scored 3 times for us against them, and Antonio twice. Conversely both Josh King and Callum Wilson have scored hat-tricks against us, and both could line up against us today, although Wilson faces a late fitness test. Seven different West Ham managers have been in charge in our 12 games against them: Syd King, Lou Macari, Billy Bonds, Harry Redknapp, Slaven Bilic, David Moyes and Manuel Pellegrini. King, Bonds, and Redknapp had a 100% record, Macari and Moyes never lost a game, Bilic won two and lost two, and only our current boss has a negative record in this fixture, which can be rectified with victory today. Our seven Premier League meeting average four goals a game, with 28 scored in total, 14 each. Since the beginning of last season, Bournemouth have conceded more goals in the Premier League than any other team. We come second! Bournemouth are the most out of form team in the Premier League, losing 11 of their last 14 games (league and cup), picking up only 7 points in the last 12 league games. We have collected 19 points since the beginning of December (the third most in the Premier League in that period). 17 of our last 20 goals have come in the second half of games. The majority of our Premier League goals against Bournemouth have come in the second half of games. Taking into account past history of our meetings, and the recent record of both clubs, you can come to your own conclusion as to what will happen today. One thing is definite. It will not be a 0-0 draw! (or will it?). My prediction is that the four goals per game average will be maintained, and we will end up winners by 3-1, with goals from the three A’s Arnautavic, Antonio, and Anderson. Does Arnie fancy it? Or is his brother stirring it? If we had a full squad of players to choose from with no injuries (yes, that’s a mighty big if for West Ham), then I’d really fancy our chances against Arsenal today. Whilst still being one of the elite six teams in the Premier League, they are no longer the force of recent times, and they trail Liverpool and Manchester City by some distance. It was only just over two years ago when they came here and handed out a 5-1 thrashing, one of two 5-1 victories over us in the last 23 meetings. In that time we’ve won just once, at the Emirates on the opening day of the 2015-16 season, a famous 2-0 win where Reece Oxford had Ozil in his back pocket. And where is Oxford today? A player we had high hopes for is still with us, but only just, and looks destined to leave in the near future, having barely played since that promising start. Our last home win against the Gunners was on Guy Fawkes Day in 2006, and was in fact the only time we’ve beaten them on our own ground this century (until today I hope). On that day a late Marlon Harewood goal preceded a spat on the touchline between respective managers Pardew and Wenger. Wenger took exception to Pardew’s goal celebration and the handbags came out. Today’s opponents are fifth in the Premier League at the moment, three points behind Chelsea, and three ahead of Manchester United. Whatever the outcome of this round of matches, then barring extreme scores they will remain fifth. A win for us today could lift us up as high as eighth if other results go our way, and will keep us in touch in the race for the unofficial Premier League Division Two title. The way I see the Premier League is that the elite top six form Division One, and the bottom six make up Division Three (i.e. those teams in the relegation dogfight). The middle eight form Division Two, and to finish at the top of this group would be a successful season for the team concerned. This week it has been confirmed that Fabian Balbuena is likely to miss at least two months, and possibly most of the rest of the season. This will be a big loss, as despite Issa Diop getting most of the headlines in this season’s new central defensive partnership, I feel he has benefitted from the steady but unspectacular performances and positioning of his injured partner. Whilst being an OK replacement, Ogbonna seems to exhibit loss of concentration at times, and I believe Diop suffers as a result as he needs to cover for his new Italian partner, as well as looking after his own defensive responsibilities..
Of course the big headlines concerning our club in the last day or so involve our maverick Austrian striker whose brother (and agent) has been on the radio claiming that Arnie wants to join Shanghai SIPG in China. Apparently the initial offer of £35 million is contradictingly described as “fantastic” by the agent, and “derisory” by West Ham, who have issued a statement saying that they will not be won over by player power. Mmmmm. If selected to play, and it seems likely that he will be, then it will be interesting to see how Arnie performs today. For me, much as I admire his ability, if he wants to go then I can’t see us stopping him, especially if a bigger offer comes on the table. No player is bigger than the club although I would hate to see him go at this point. If the offer was from a team playing in the Champions League, and he wanted to test himself at that level, then I could understand it more, but China? How much money does he need? It would be difficult to replace a player of that calibre, especially in the short timeframe of this transfer window, but it was interesting to note that Bournemouth have signed Dominic Solanke from Liverpool for £19 million. Surely he hasn’t been bought to sit on the bench? But with King and Wilson occupying the front positions for the Cherries, I would expect that one of them is moving on, and I wonder if Bournemouth are looking to cash in on Callum Wilson. He has been linked with Chelsea, and is likely to cost approaching £50 million. I wonder if we are in a position to hijack that deal, or if he would want to come to the London Stadium? Bookmakers are offering around even money on an Arsenal win, and about 5/2 on a home victory, the draw being in the region of 13/5. Perhaps the best bet of the day might be on the score remaining goalless at half time (21/10). West Ham haven’t scored a first half goal in a Premier League game at the London Stadium since the beginning of November, whereas Arsenal have scored 32 of their 46 league goals in the second half of games. Although we have conceded 32 goals in the league so far this season, Arsenal do not have the defensive capabilities of their teams in years gone by, and, despite sitting fifth in the table, have only conceded one fewer than ourselves. Both teams have picked up seven points from their last five games, and a scoring draw with second half goals could be on the cards. However I reckon a determined Arnie will put on a show and score a late winning goal in a 3-2 victory. At 125/1 that will be my fun bet this week.